A project like JUGEND RETTET IUVENTA also needs a lot of shore-based coordination. Therefore, many volunteers work together in different departments. Those teams are working day for day on planning new missions, raising awareness and to connect our supporters. Students from different subjects, professionals and other volunteers actively participate wherever they can best apply their knowledge and support the project. Berlin is the heart of our organization. However, JUGEND RETTET IUVENTA has become more decentralized and we appreciate that so many people from different cities and countries are working together on this project. Most of the work takes place within such departments and representatives of all departments jointly agree on bigger decisions. Beside this organizational structure, there is a parallel formal structure which meets the requirements of the German law of associations (Vereinsrecht). A smaller group of supporters is an official member of the organization and meets annually for the plenary assembly. Furthermore, we have three board members who enjoy equal rights. On a usual rescue mission our crew consists of 11 - 13 people. Professionally trained nautical personnel ensures the running operation of the ship. 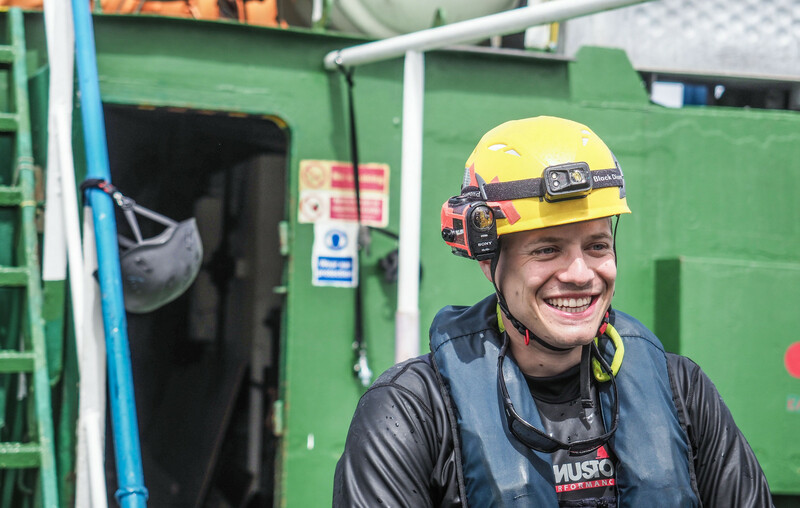 A Captain, Chief Mate, Second Mate and two Engineers provide safe travelling on the sea. In case of a rescue operation 2 - 3 crew members mount both our speedboats to approach boats in danger from the rear and to hand out life jackets to every person on the boat. 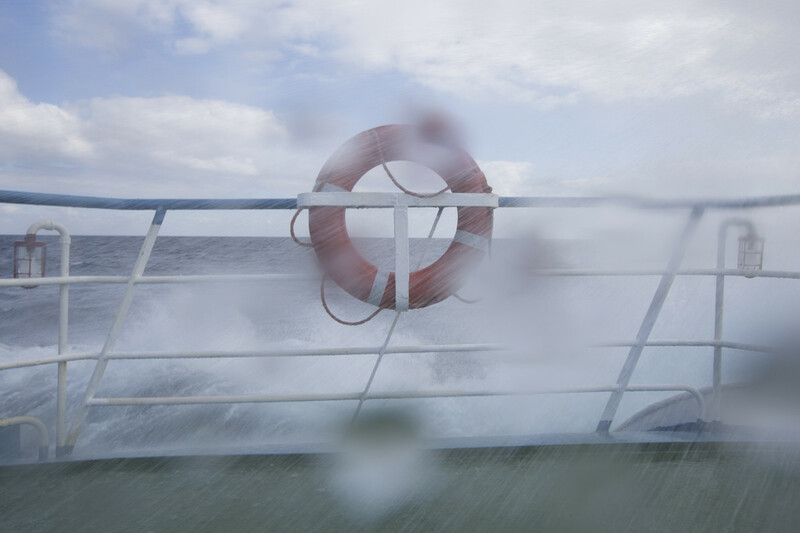 After being brought onto our ship our medical team consisting of two provide medical aid. On the bridge of the IUVENTA the Head of Mission and Captain coordinate the rescue operations. 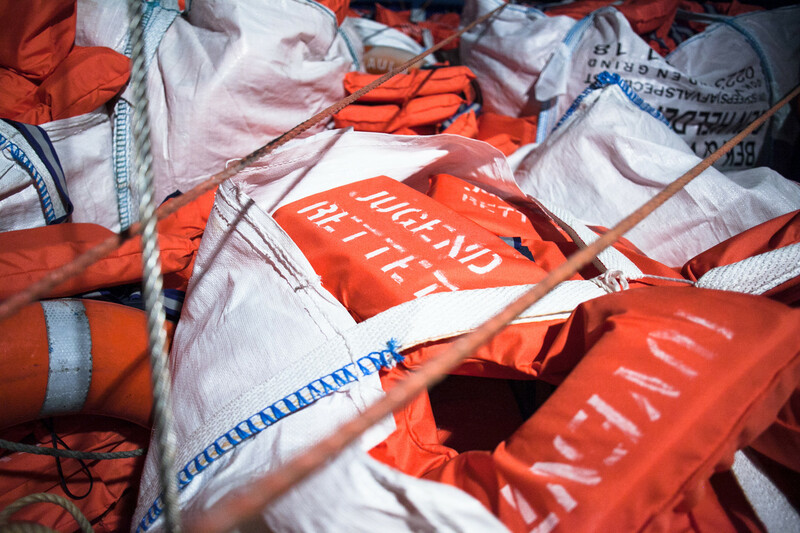 Other activities on the ship include handing out food and water, cleaning the deck and life jackets and maintaining the ship. A team of three on Malta is responsible for the smooth procedure of the missions and for organising the local camp. All crew members work unsalaried. If you'd like to become a part of our crew you can read more about the specific requierements of each position here. As an ambassador you're engaged in discussions on political solutions and helping to shape our claims. Become a part of our transnational network! You'll raise awareness about JUGEND RETTET IUVENTA and our actions and goals in your local area. Wherever you are, we'd like to find more young people who like to engage in discussions, to hold presentations and fundraising events and support us with their ideas. It is thanks to the support of many that we were able to save over 14,000 lives in the last two years. Each donation helps us to further carry out rescue missions and to do what's necessary to stop the dying on the Mediterranean. For us, donors are a part of our network. Regardless of whether you are helping by donating your time, donating equipment or by donating monetarily - either way will help us carrying on our missions. Here you can find a short list of our Sponsors. We thank all of you for the good collaboration! If you as well want to help us by donating equipment or by other means, please send an email at Sponsor@jugendrettet.org.